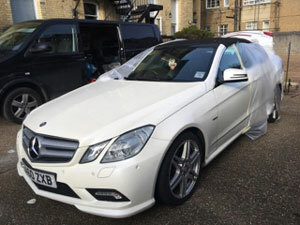 Top Marque Repairs specialise in mobile car paint repair in Crawley. 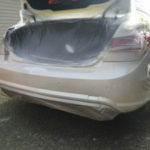 We repair dents, paint scratches and bumper scuffs. We have over 22 years body shop experience offering you the highest level of quality. Car dents and scratches in your car make your vehicle look tatty and affect your vehicles resale value. 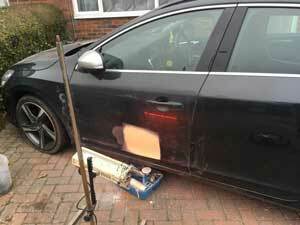 We repair cars in Crawley, West Sussex and the surrounding area. We come to your house or place of work to fix your car. 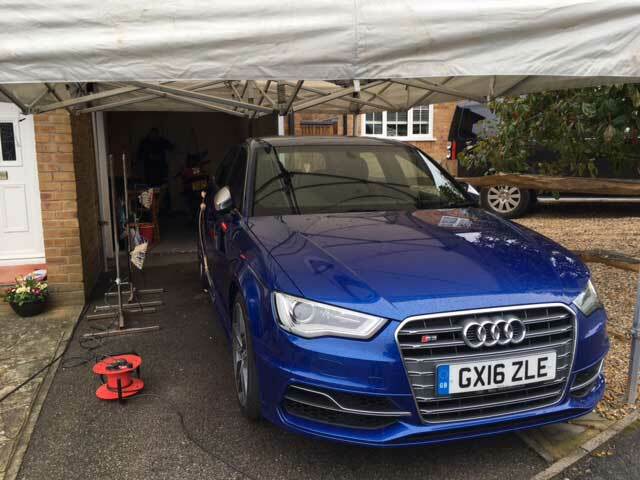 This saves you time and money whilst restoring your vehicle to its previous pristine condition. Often you can drive your car away within hours of us arriving. 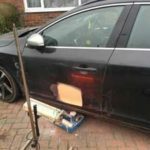 Its important to get paint scratches fixed as soon as possible. Not only do they look unsightly but left longer term they can lead to rust problems. Rather than taking your car to a costly body shop, just call us. We will come to you to fix the problem onsite often within a few hours. 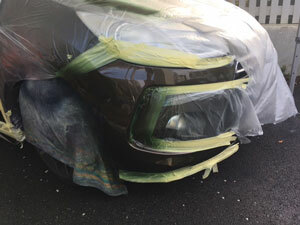 Top Marque Repairs mobile car paint repair service uses Standox Paint Systems. Paints are matched to manufacturers specifications on site to the highest standard. We work all year round, coming to your house or place of work in Crawley. 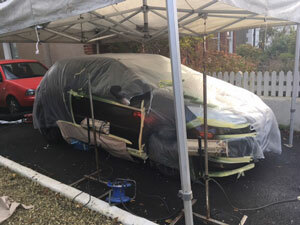 We have a gazebo to keep your car dry whilst we repair it. Once the repair is complete heat lamps are then used. 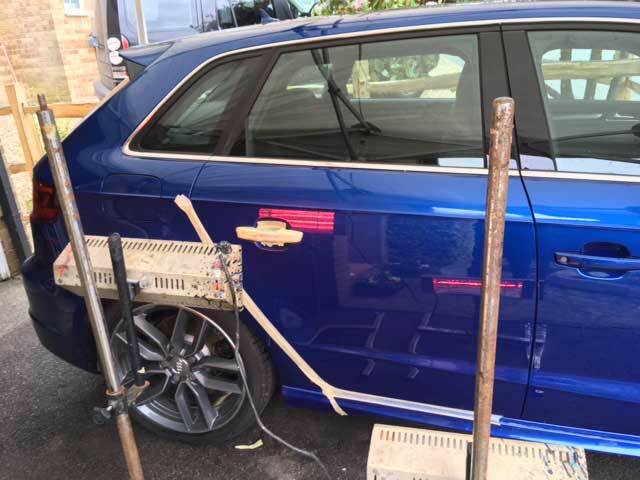 You can use your car 15 minutes after the repair is complete. This car got scratched through 4 panels. We fixed it up in November in damp weather. The car was repaired under our gazebo at the owners house. We then used our heat lamp to cure the paint. The car was then ready to drive in just 15 minutes. We don’t just repair scratches and accidents. 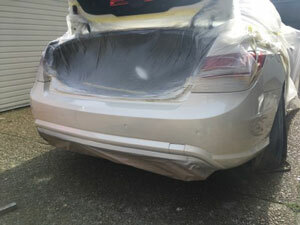 This Mercedes E Class was repaired after another body shop did a poor job. We went to the owners house and got it fixed within a few hours. 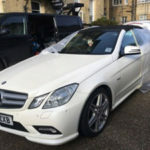 We come to you serving Crawley and the rest of Sussex & Surrey. Cars can pick up a number of dents and dings through their life. 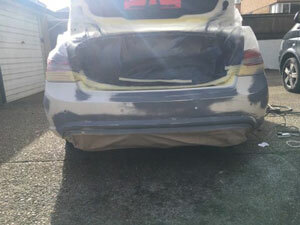 We fix both minor and major dents in cars. If you’ve been putting off getting them fixed, thinking it may be too expensive, give us a ring. You may be pleasantly surprised at our prices. 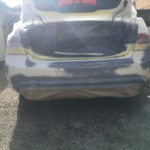 We are proud of the fact that we have over 22 years bodyshop experience. 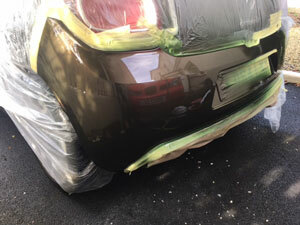 Our knowledge and understanding of mobile car paint repairs and car bodywork repairs is second to none. We pride ourselves on being reliable, efficient and producing the highest quality of work. Don’t just take our word for it. Have a look at some of our testimonials below. Want to get a no obligation free quote? Contact us now. Either use the enquiry form on the right hand side or call us on the number at the top of the page. Don’t forget we’re mobile. We come to you. Tilgate Park. This great park contains a lovely lake. Not only that it has Go Ape tree-based fun. The nature centre with all its animals will keep the children happy. If you need more thrills head to Southern Pursuits. Archery, quad biking and shooting should keep you entertained for the day. The Hawth is a great place to get some culture. This theatre serves up concerts and plays a plenty. * please note we don’t vouch for any of the following garages.